I like to go light and natural on holidays because my skin only deals in extremes. It either looks like magic as I’m so relaxed and refreshed, or it freaks out as a result of extensive wine and gin. 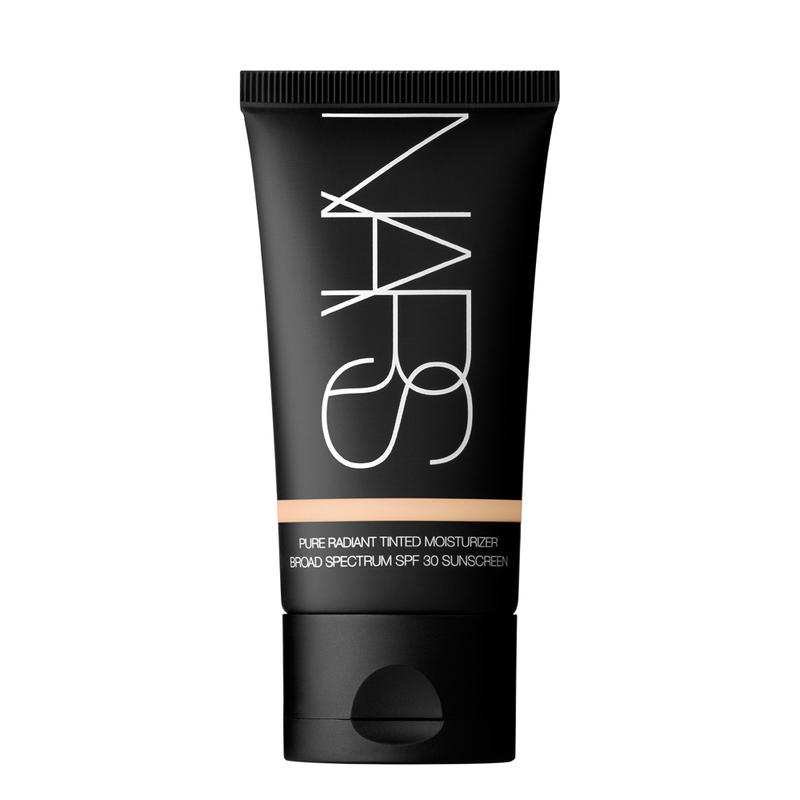 Nars Pure Radiant is my go-to as it’s light and natural, but I can treat it as a foundation if I need to. It's also an "everyday" product, and it doesn't clog up my skin or feel too heavy. No matter what I need, it’s my gal. Nars might not be your thing, but I recommended packing a base product that can do both a day and night job: natural, light and breezey, as well as dressed up and ready to party. The beauty of a good concealer is that you can use it over most of your face, if the need arises. I’ve opted for the It Cosmetics Bye Bye Under Eye as it’s thick, and can handle any above mentioned skin freak outs. Plus it's colour correcting, waterproof and anti-aging – which is exactly the kind of positivity you need in your life. The best way to use it is to squirt a little on the back of your hand. Rub it in, then apply to your face with your finger. It is quite thick so you don’t need a lot. It’s long lasting too. I’m a fan. Of course, blush. I love blush. It’s so feminine and just plain pretty. I’m taking my fave with me ‒ BareMinerals ‘The One’. It’s the perfect pasty-gal colour. It looks so natural, and goes perfectly with my Nars and Rimmel bronzer. You know when products just work together? Have you had that? No? Just me. Well, alright them. But I’m telling you, it just works. Ready to meet the one? Bronzer is a summer vacay must-pack. Normally I’m a Benefit Hoola girl all the damn way, but I have to say, I’ve been trying the Rimmel Sun Shimmer Bronzer and I love it. Who says you can’t buy good products for less than $10? It’s got the 3-in-1 mixed colour wheel and it’s perfect for face-shaping/light contouring. I apply it on the top of my cheekbone that sits between my eye-line and my hairline, then along my forehead hairline, and around my jaw. It shapes my face and makes me feel slimmer (and shimmer). And of course: brows. What is a look without brows? The nineties. But pretending that question was rhetorical plays to the point that you need to pack your best brow product. 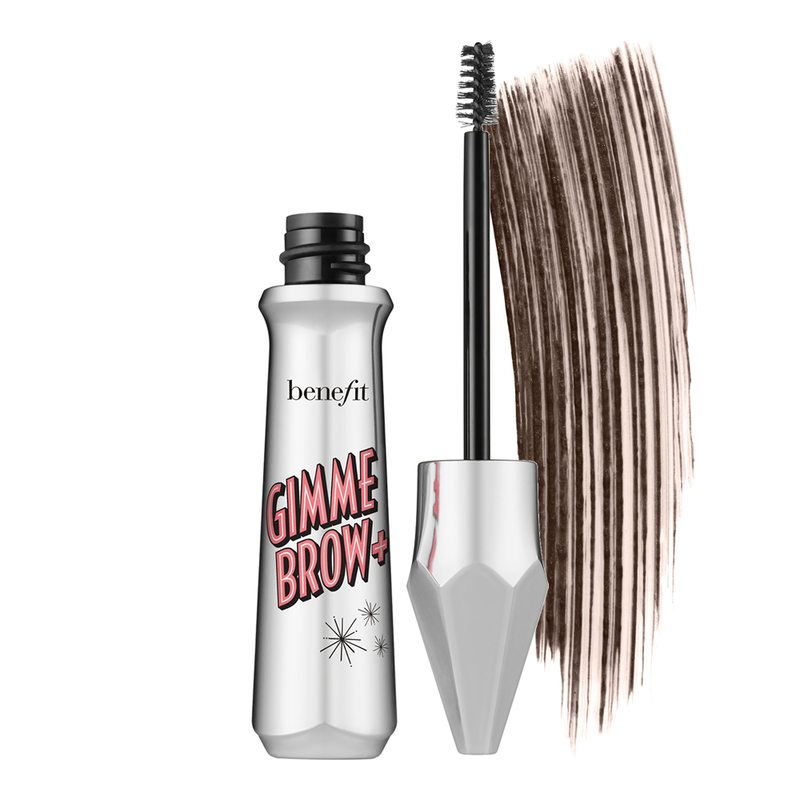 I love Benefit Gimme Brow. It goes on evenly (just start in the middle of your brow), it's a great colour match and it looks so natural. Ideal summer look: a bit of Nars, some bronzer, blush and killer brows with my eyelash extensions and I feel like bloody Cara Delevingne (before she cut all her hair off – brows are still intact though).